The start of the 1985 season saw a sixteen year old me fish my first match as a ‘senior’ (although I use the term very loosely!). 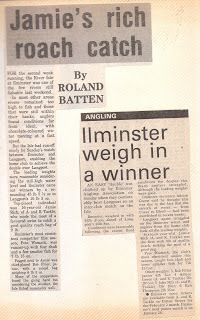 These were exciting times, two of my angling mentors, Adrian Green and Barney Crockett had opened a fishing shop in Ilminster called A and R Tackle and I helped out at weekends which meant when my name appeared in the paper, the shops name appeared in brackets after it, I was now a sponsored angler, I’d made it, I’d hit the big time! 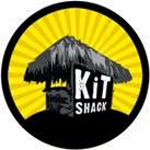 Although in reality, I was just getting my bait cheap because I worked there! It’s funny really, because even now, over thirty years later, people still want to have a coveted sponsors name in brackets, even if they’re actually only getting bait at a reduced price! That first match was on the King’s Sedgemoor Drain and fished to the points and ounces format, Adrian, Barney and me had been down practising (another perk of working in the shop!) and formulated a plan, we would fish maggot and groundbait just off the marginal weed while feeding hemp and caster down the middle of the drain. We would stay on the inside line as long as we were getting bites before going out when sport slowed. It worked a treat, Adrian won the first match with 95 fish weighing 8lb 15oz to give him 238 points, Pete Womack was second with 59 fish for 9lb 5oz and I was third with 37 fish for 7lb. 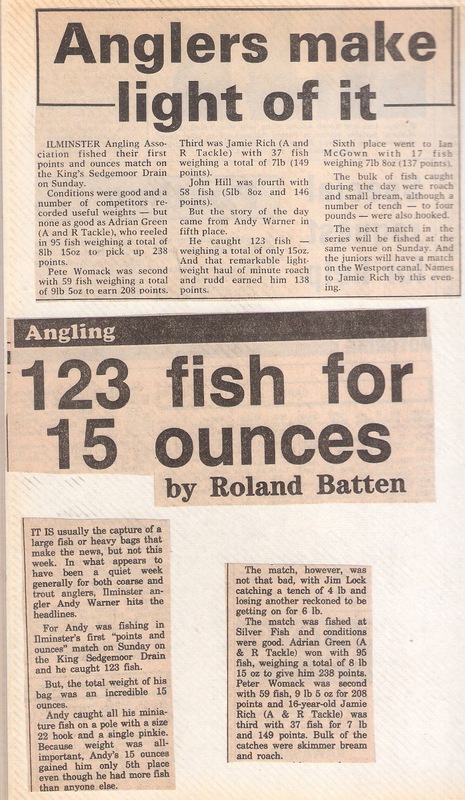 Andy Warner had all the headlines though, when he caught 123 fish for 15oz giving him a total of 138 points and fifth place. 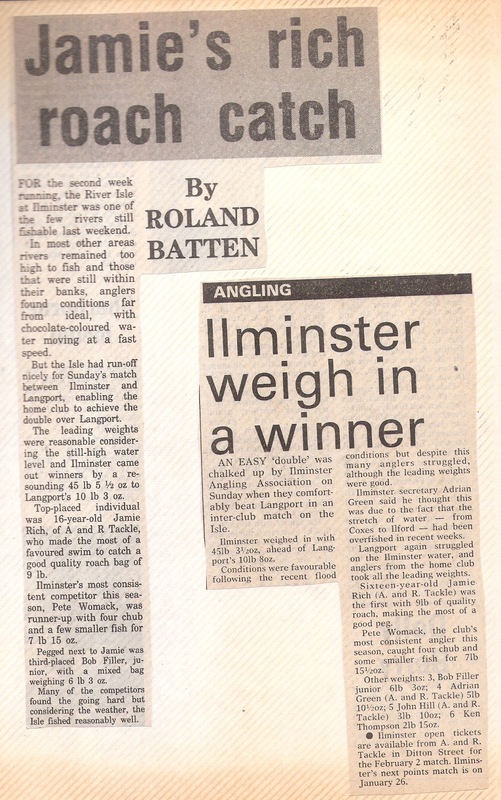 Back then the club also used to fish against Langport with a match on both club’s waters, the first fixture was on the River Parrett and we took the verdict with 87lb 15.5oz compared to Langport’s 63lb 4oz, Jim Lock had the top weight with 17lb 12oz and I was fourth overall with 8lb 7oz despite suffering some pike trouble. In between matches, I was still managing some pleasure fishing and a trip to Perry St Pond resulted in catching my first tench there with a nice three fish haul and another trip to Crockerton saw me have a lovely days fishing catching 26lb 8oz of skimmers, tench, carp, roach, rudd and I even had a sizeable trout. 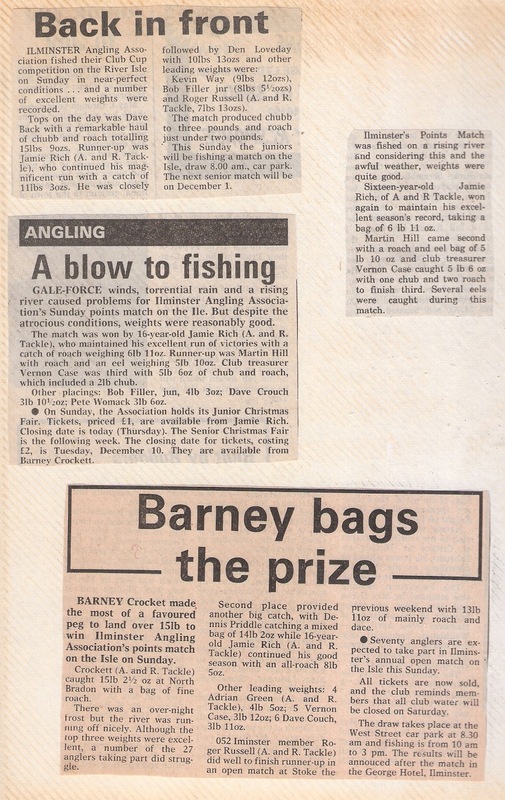 I was enjoying a great run of form in my first season as a ‘senior’ and as the Isle matches started, this continued when I finished second in the Club Cup with 11lb 3oz from the swim above the ‘Roach Hole’ at North Bradon, I remember being at Barney’s the previous day (we were picking casters) and he’d just go back from walking the river and said there were loads of fish topping in that swim (I can’t remember what number it was) and I only went and drew it the following day (shame my drawing arm isn’t as good these days!). Dave ‘Chippy’ Back won on the day with 15lb 9oz of chub and roach from the ‘Ding’ swim (if I remember correctly) and Den Loveday was third with 10lb 13oz. I went one better in the next points match when I won with 6lb 11oz of quality roach on a peg downstream of North Bradon, the river was up, coloured and still rising. I was on a non descript straight and just kept running a little peacock waggler down the peg where it would drag under as it reached the tail of the swim and I would hook a submerged ‘stick up’. This happened for the umpteenth time and once again the rod curved round as I snagged up but then there was a satisfying thump, thump as a big roach objected to having its lunch interrupted. It was a cracking fish too, around the pound mark and I added five more and a few smaller samples on double bronze or red maggot throughout the day for my first win as a senior. 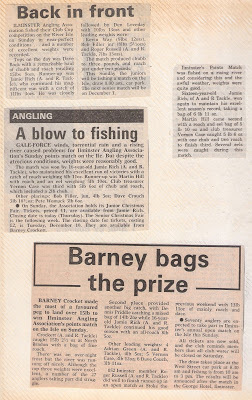 Martin Hill was second with 5lb 10oz and my travelling partner, Vernon Case was third with 5lb 6oz. I framed in a couple more matches and then we hosted Langport in the return inter-club fixture and I drew the last peg in the copse, the famous ‘Stump’ swim (now peg 29), although in those days we fished it on the opposite bank, the river was in perfect condition, coloured and fining down. I had another lovely day fishing the waggler, I fished it overdepth to slow the hookbait down and the float would drag under before popping back up (it was a relatively clean bottom) and on the occasions it didn’t, the strike usually resulted in a nice roach. I ended up with a level 9lb for another really nice match win, Pete Womack was second with 7lb 15.5oz and Bob Filler jnr was third from the ‘Big Bend’ above me with 6lb 3oz. 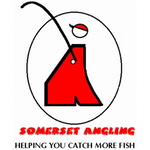 We also completed the double over Langport, 45lb 3.5oz to 10lb 8oz. 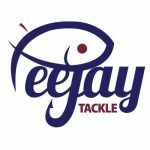 So my senior match fishing career was off to a great start, what was noticeable going through my old diaries and photo albums was firstly the lack of photos! 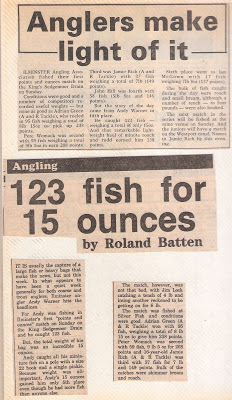 (no camera phones back then) and secondly how I think we very often look back at the ‘old days’ through rose tinted spectacles, anglers I fish with are always saying how the river doesn’t fish as well as it used to but looking at the results back then, 10lb was a good weight and 15lb a real red letter day, 20lb was virtually unheard of (Colin Dyer did win the open with 20lb 8oz one year), whereas nowadays, high teens is common and there are normally several twenty pound plus winning weights in a season and the match record now stands at over 43lb! Like most clubs, Ilminster had some real characters including Pete Womack who was a brilliant angler, albeit a little eccentric and was always dressed in full camouflage gear and I have to mention John Hill, another great angler who helped me loads and even showed me how to fix a waggler on the line upside down so it would collapse on the strike in shallow water. I was also the junior match secretary and although attendances never reached the highs of a few years previous, the turn outs were still healthy with the likes of David Tolman, Jon Newby, Jason Miles, Toby Beasley and Stephen Hallett all doing well. 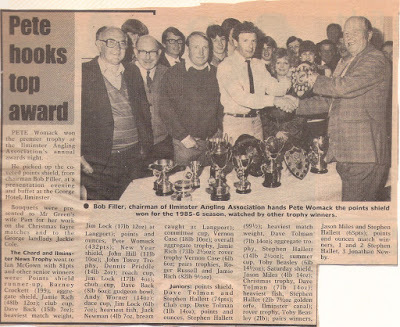 I picked up three trophies at that years presentation evening at the George Hotel, the aggregate shield, the aggregate trophy and for the fourth year in a row, the pairs trophy, this time with Roger Russell as my partner.